European Commission President Jose Manuel Barroso is heading to Athens for talks on Thursday amid concern over whether Greece has done enough to get its next tranche of bailout loans. It is his first visit for three years and he is expected to say the EU wants Greece to stay in the eurozone. But there will be tough talking behind the scenes, analysts say. Greece’s international lenders are also in Athens in an attempt to get deficit cutting measures “back on track”. After months of political deadlock and two general elections earlier this year, Greece is struggling to meet the economic targets it has accepted as a condition of its bailouts. Inspectors from the EU and the IMF are trying to work out whether or not Greece has done enough to receive its next tranche of loan money. The European Commission says the country’s financing needs will be met in August, but a decision on further payments will have to be made in early September. Without sufficient progress, it may not receive the final part of its bailout worth 31.5 billion Euros ($38 billion). Earlier in the week, Prime Minister Antonis Samaras said Greece would suffer a much deeper recession than thought this year. He expects the economy to shrink by 7%, greater than the 5% forecast by the crisis-hit country’s central bank. Antonis Samaras said Greece would not return to growth until 2014. He is expected to ask for more time to repay its loans. Jose Manuel Barroso’s visit is overdue as Greeks often complain about European political leaders who spend plenty of time talking about them, and not much talking to them. The Commission president is unlikely to be out and about shaking hands, but at least he will be in Athens to speak directly to the Greek people. 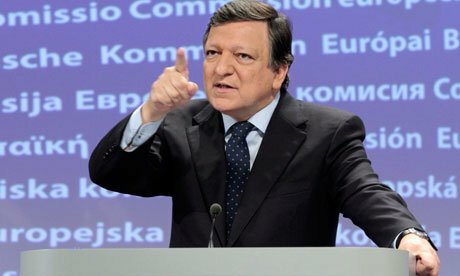 Jose Manuel Barroso’s spokesman said the purpose of his visit was “to meet Antonis Samaras and discuss the overall economic situation in Europe and in particular in Greece”. He said it was “a regular meeting” and that the preparation for the talks had been “under discussion for some time”.